Last November sixty Year 10 students took part in the Jack Petchey Speakout Challenge. The day consisted of a workshop delivered by Jane Chambers, a speakout trainer and BBC journalist. She trained the students on the key skill of public speaking and all the students wrote and delivered a speech on a topic that they felt passionately about. Adam was the overall winner from Queensmead and he went on to represent the school at the Hillingdon regional finals held at Oakwood School on Wednesday 5th December. During his speech entitled; ‘Soliloquy of Sadness’ Adam spoke with great composure and confidence. Adam talked about a topic very close and personal to him and he should be proud of how he was able to conduct himself and speak so confidently on a subject that evokes so much emotion. 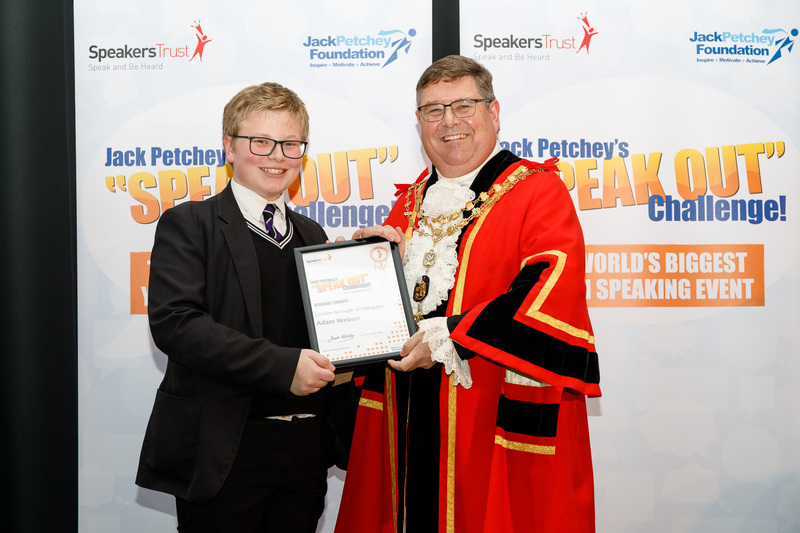 Although Adam did not win the competition he was praised by the Jack Petchey speakout trainers for his bravery in delivering such a difficult speech.